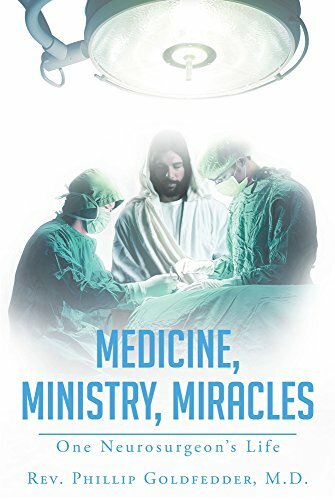 The author emphasizes the divine power of physical and spiritual healing through his own journey in “Medicine, Ministry, Miracles: One Neurosurgeon’s Life.” His book shares the story about his medical career and his unexpected condition to his path to healing and embracing a life with a greater purpose. Find healing through Jesus: The Great Physician and Healer of Souls. Through “Medicine, Ministry, Miracles: One Neurosurgeon’s Life,” Rev. Phillip Goldfedder, M.D. shares the most important parts of his journey. He talks about how he fulfilled his dream of becoming a neurosurgeon, how he met his wife, Maureen, and how he built his loving home and family as well as his career. He then candidly opens up about the challenges he has been through after he suffered chronic intractable pain. He talks about the most difficult time of his life: a chapter that challenged his career, his abilities, and his relationship with his family and friends. He’s always been open about the fact that he often avoids his spirituality for most his life. It was through this circumstance where he began to feel God’s power and existence. After he was miraculously healed at a church in Orlando, his spiritual perspective shifted. Because of his experience, he realized how powerful God’s spiritual healing is. It was where his life began to change completely. Today, his primary focus now is to live with the renewed purpose God has given him: to help other people in their path of spiritual healing. Indeed, Goldfedder’s heartfelt autobiography shares his story of faith and healing. Understand God’s healing power through his story told in “Medicine, Ministry, Miracles: One Neurosurgeon’s Life” as it takes part in the upcoming 2018 Sharjah International Book Fair happening on October 31, 2018 to November 10, 2018! Grab a copy today! Written by: Rev. Phillip Goldfedder M.D. Reverend Phillip Goldfedder, MD graduated from Albright College in Reading, PA and New York Medical College. He practiced neurosurgery for thirty-seven years. After Jesus healed him of chronic, intractable pain, God called him into the healing ministry. He has seen even more people healed through the laying on of hands than he ever did with the scalpel. Dr. Goldfedder is now an ordained minister, who holds an honorary Doctorate in Christian Education from Canyonville Christian Academy. He and his wife, Maureen, and their two dogs, live in Warrenville, South Carolina.